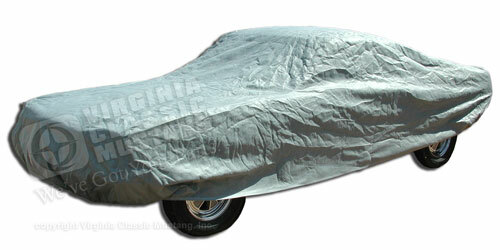 A 3-layer custom car cover material suited for light weather conditions (perfect for occasional use or Mustangs stored under a carport). Triguard™ is fairly soft and very compact. Do not use Triguard™ in harsh weather or sun. Triguard™ is also not suited in areas with industrial fall out (acid rain). Good protection at an affordable price.